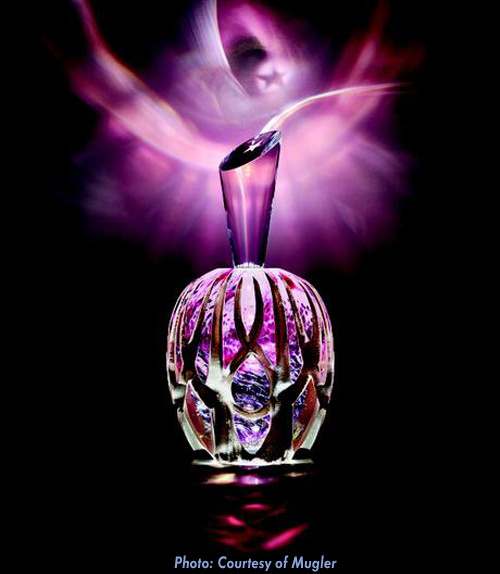 25 Unique Cloud Vessels for your Perfume. 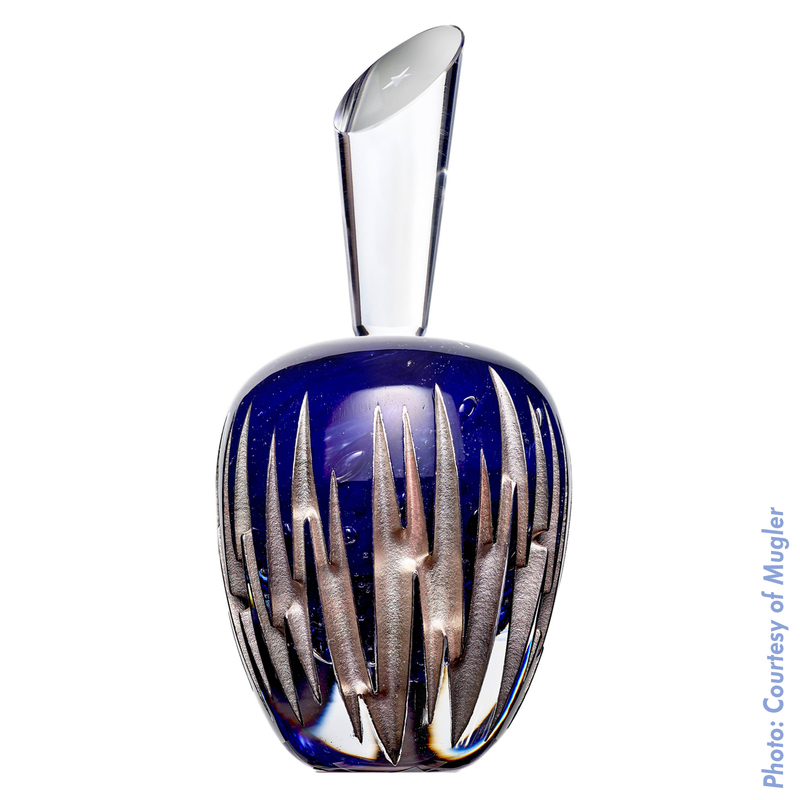 Created by Frederic Alary Glassmakers in France. 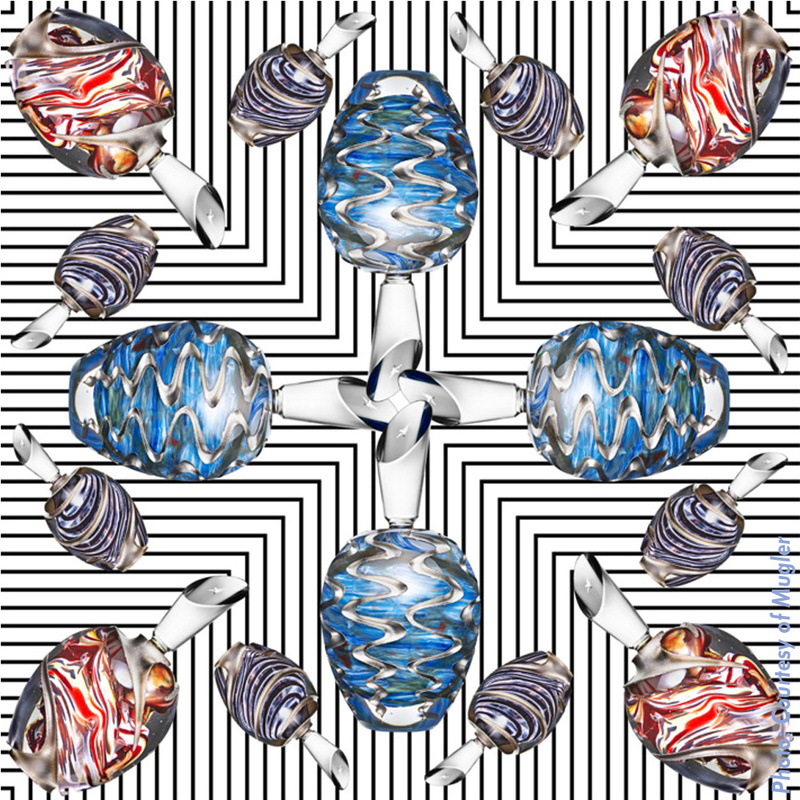 Unique One of Kind art objects. Retail Price $ 3,500 US dollars. 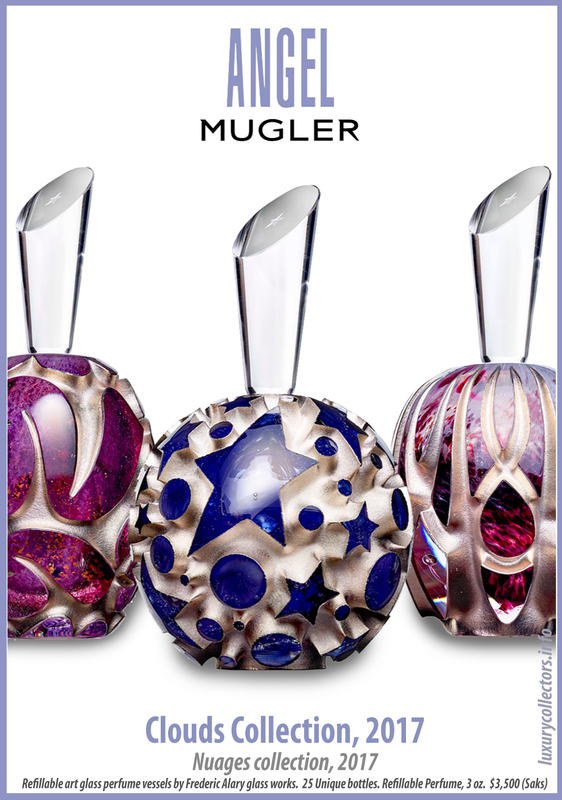 These bottles are a unique way of filling up with your Mugler fragrance of choice a piece of art. 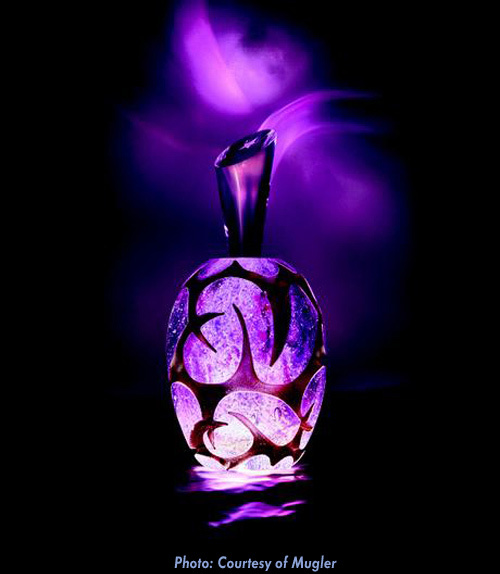 25 “Clouds” or Nuages bottles are shaped like eggs and are each hand crafted and credited to the glass workmanship of Frederic Alary. 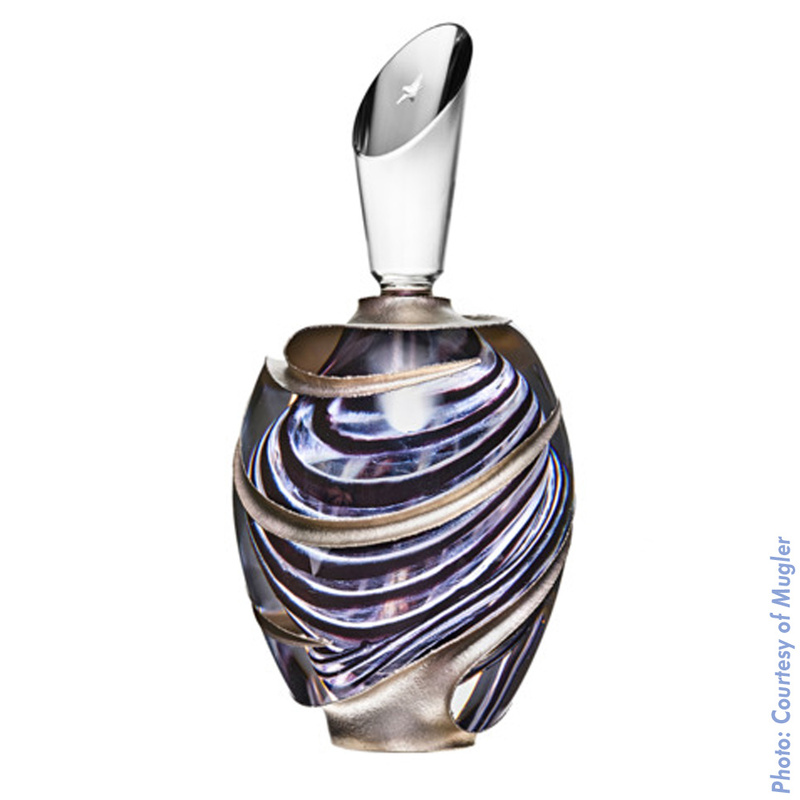 They are designed by Jean-Jacques Urcun, who is Mugler Studio’s Artistic Director and long time brand collaborator. 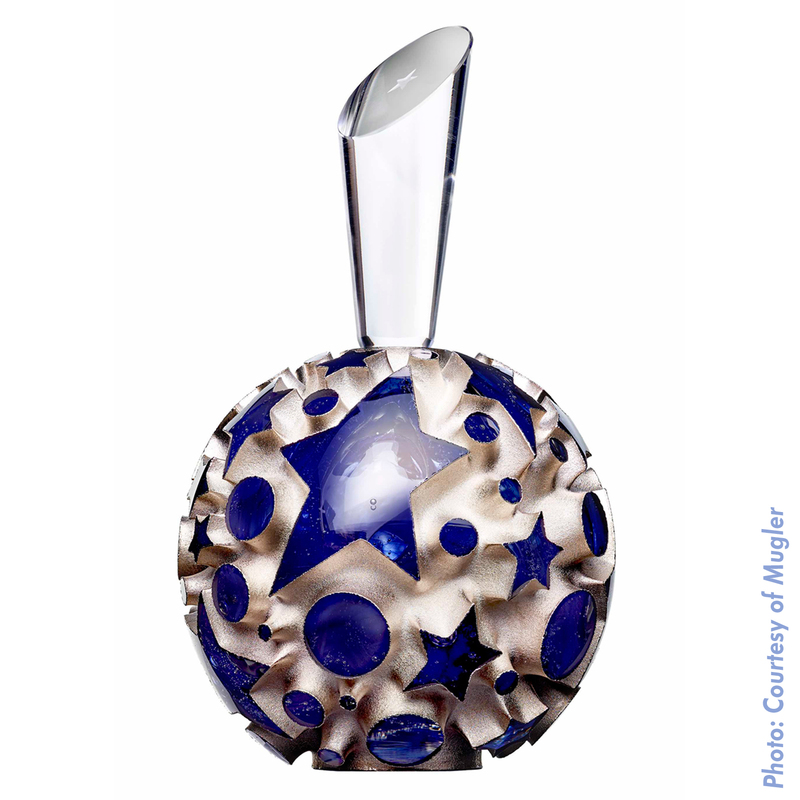 They each contain an asymmetrical conical shape stopper engraved with a Mugler Star at the top. 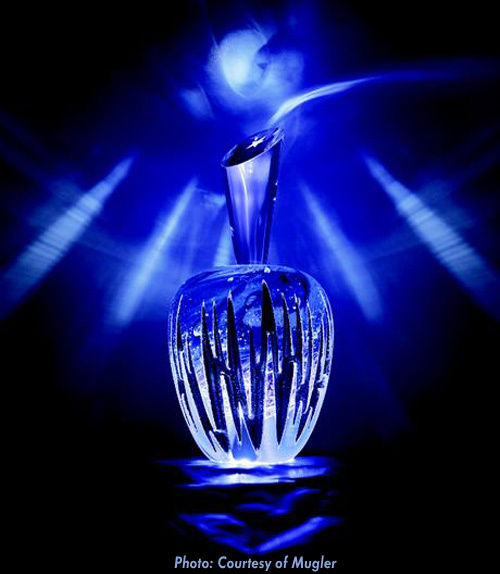 They are each hand made in artisanal glass method of using precious metals, sandblasting, and hollow motifs applied to mouth blown pigmented and hand sculptured bottles, so that no two are alike. Most are shaped like “eggs”, while others have a more round appearance. They were previewed exclusively at Printemps Haussman department store in Paris on November 2017 and retailed for €2,900 Euros. 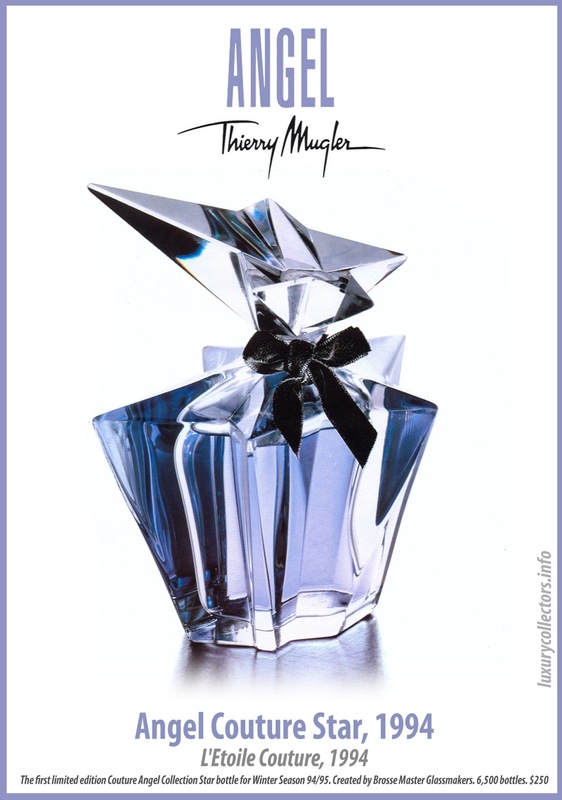 Mugler perfumes opened the largest perfume boutique at this store in August 2017. 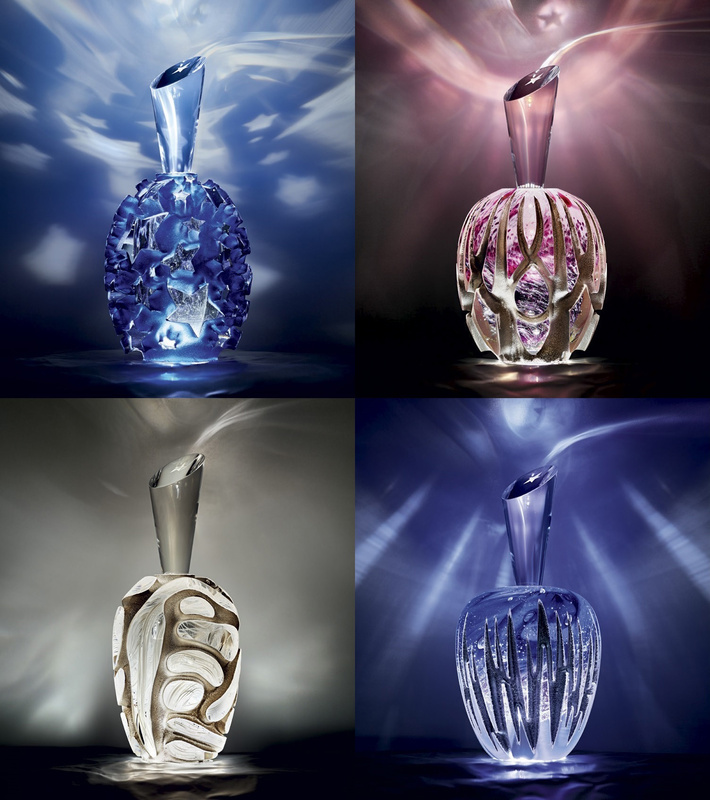 Starting May 20, 2018, these bottles will arrive exclusively at Saks Fifth Avenue in New York City were new designs were introduced and available for purchase at $3,500 each. 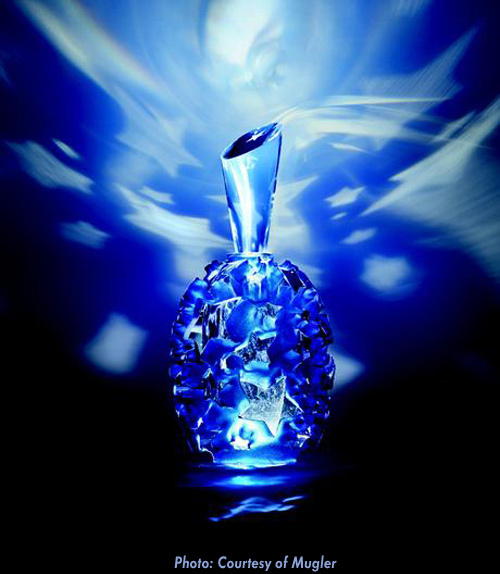 Photos of Mugler’s Nuage “Clouds” Bottles. Since these bottles are unique and not sure what the individual name of each is. 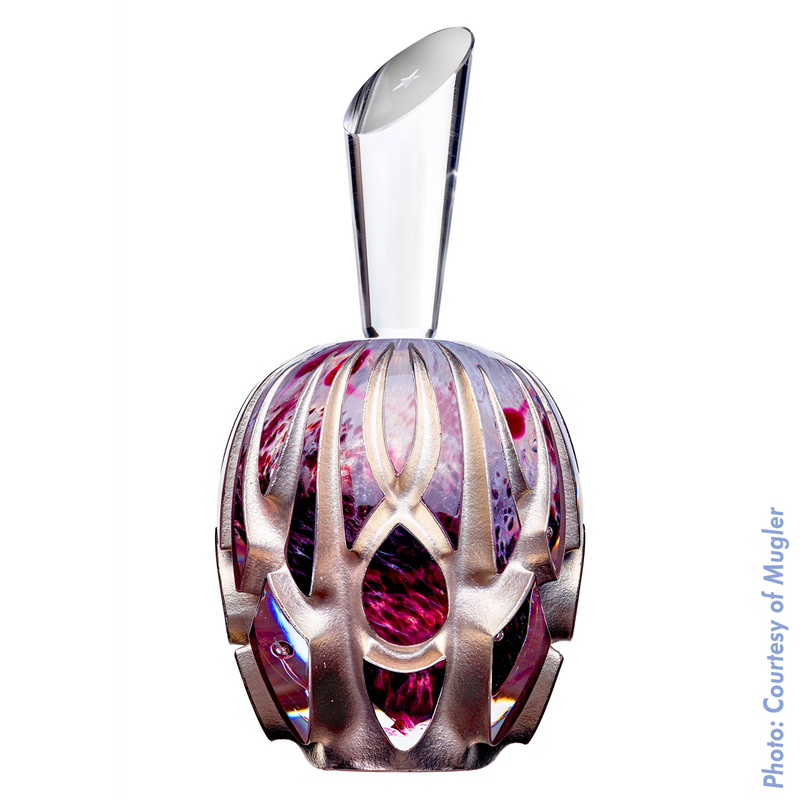 I have to say these are the real deal, if you want to invest in a Commercial Perfume Bottle these are one of the best and nicest options. 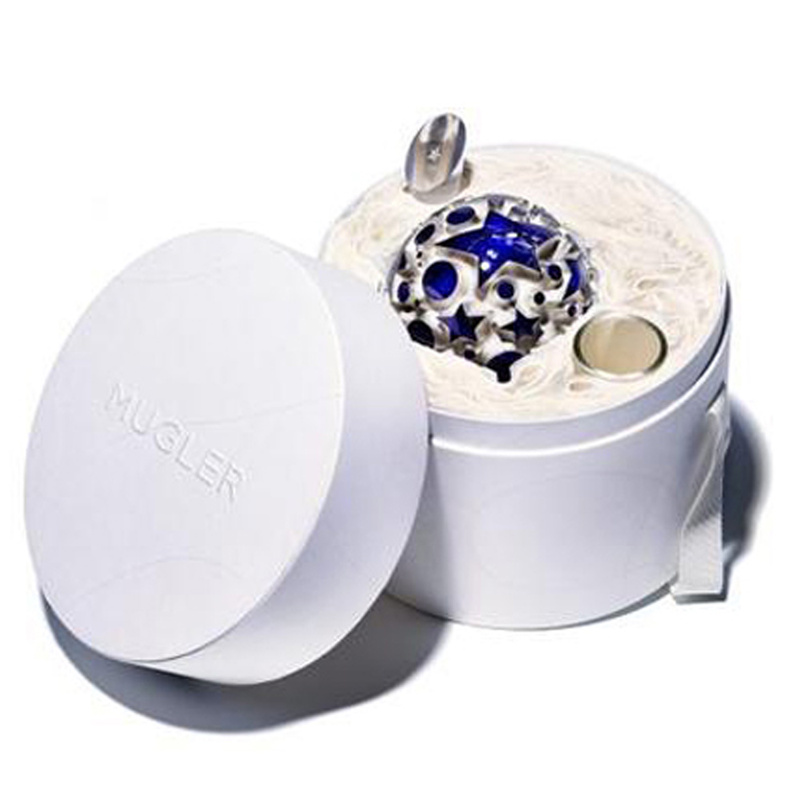 They are signed by Mugler and have a renowned artist having produced them. There is really only ONE bottle or maybe a couple of bottles made that might be similar, but you only have 25 bottles total being made, if they hold up to this claim, then this makes them really valuable. Unlike the other $3,500 Superstar Deluxe bottles (450ml), these are a lot smaller, probably hold about 33ml in the bottle, but bring a 100ml refill bottle. But again one buys these expensive bottles for their vessel and not so much for their fuel. 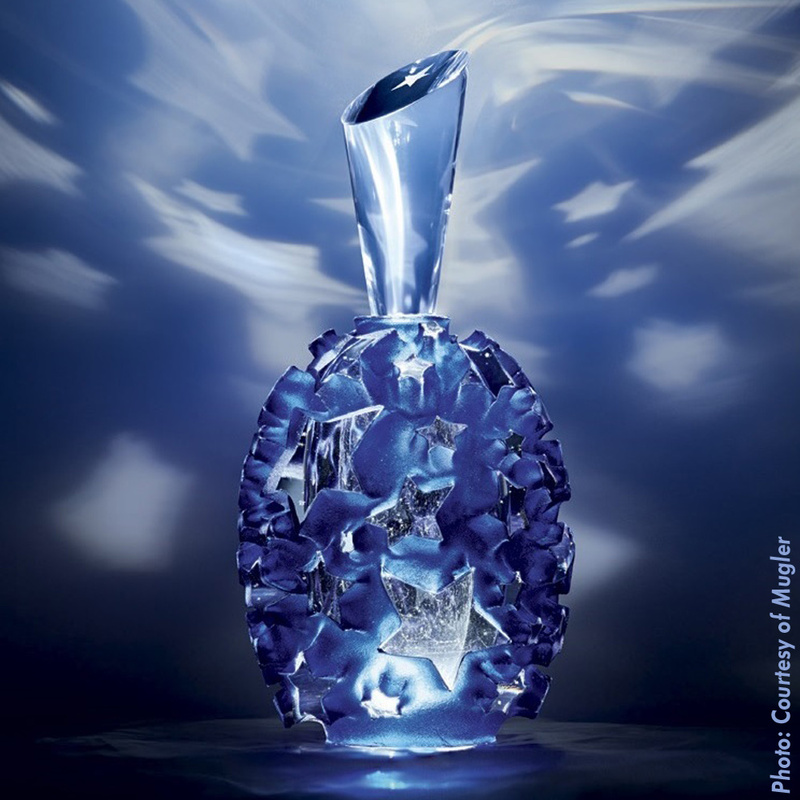 Some of the other Superstar bottles bring some Swarovski crystals glued or applied to them, but the hand work in these bottles cannot be surpassed by those other limited editions. 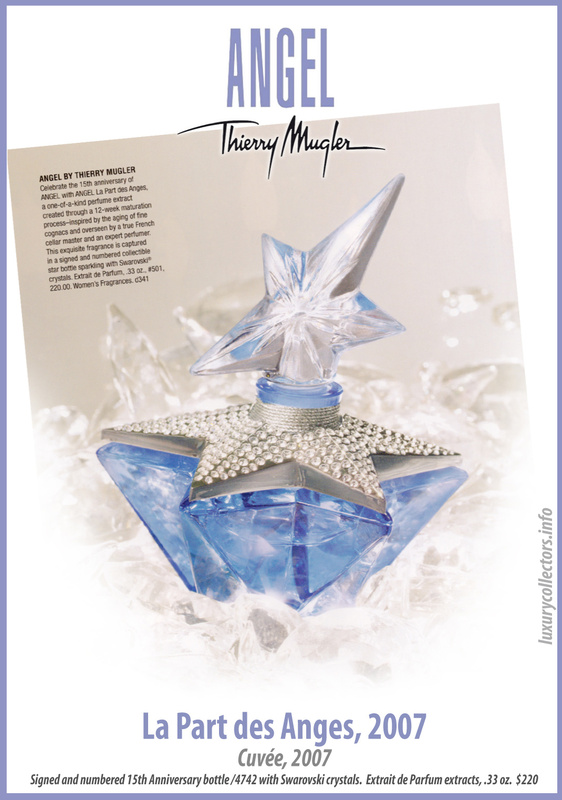 Advertisements of Mugler’s Clouds “Nuage” Bottles. Each Clouds bottle comes in a white leather circular travel case with a metal funnel for you to pour your fragrance of choice that comes in a 100ml refill bottle. You can see in the photo below how they come inside of the box. Narrative book in vellum parchment also included. Circular white container has special place for funnel and for the crystal cone stopper. 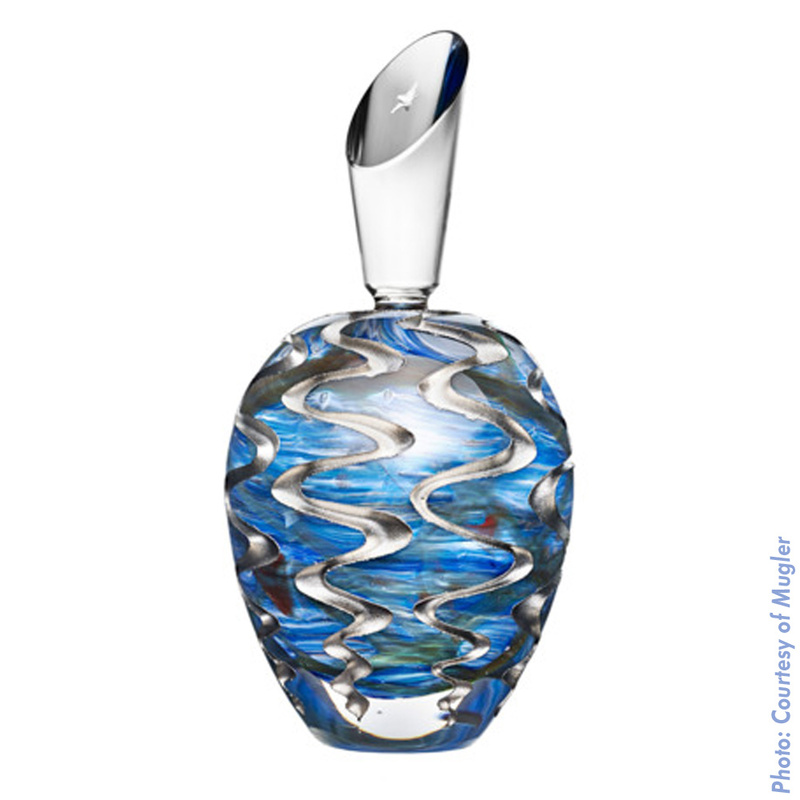 These bottles remind me of Bulgari’s Carlo Moretti Murano perfume bottles from 1994. 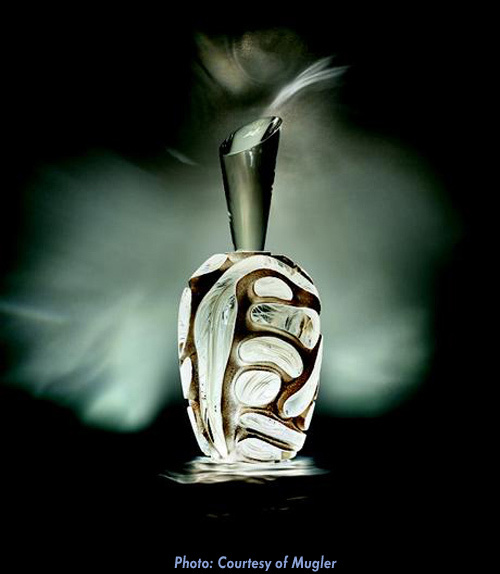 These bottles were also made each distinctly, handmade, with distinctive Italian style. 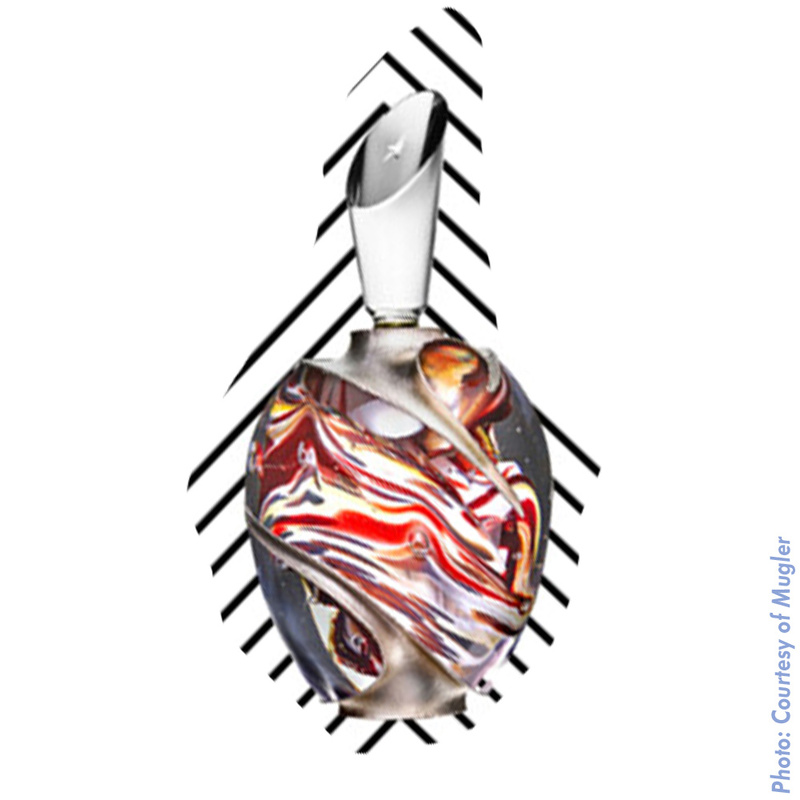 The greatest additional benefit of these also was that they had a sterling silver stopper, very Bulgari, showing their roots as a jewelry maker first and foremost. 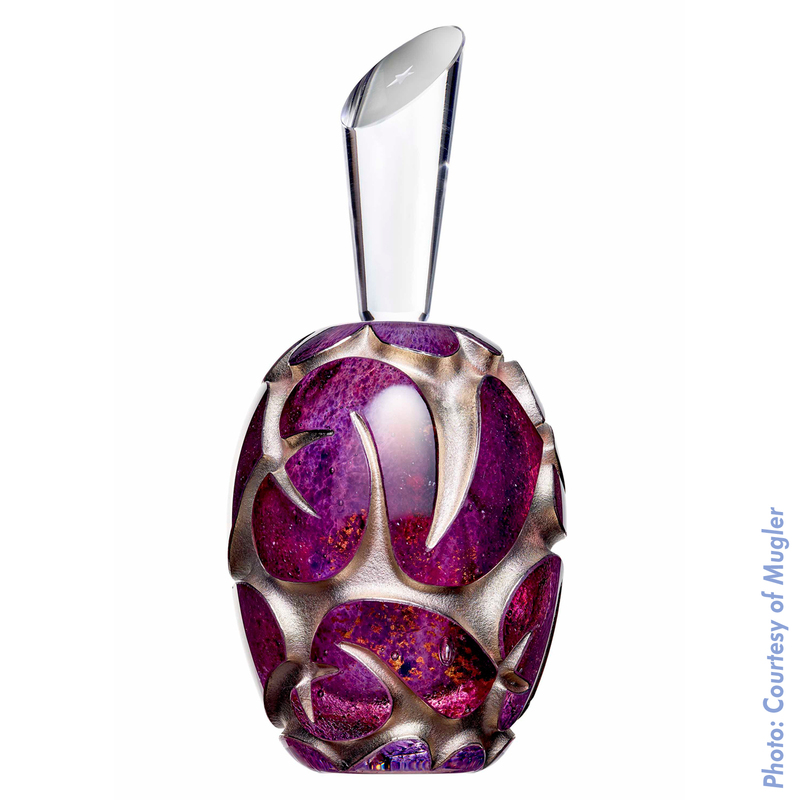 They were signed by Carlo Moretti, Bulgari and Murano, and were individually numbered. I think they made around 100 bottles of each design and I am not sure how many designs were made, a lot more than 25 of these, and I guess that also shows in their current auction price and their original retail price of $750, although this was more than 25 years ago. 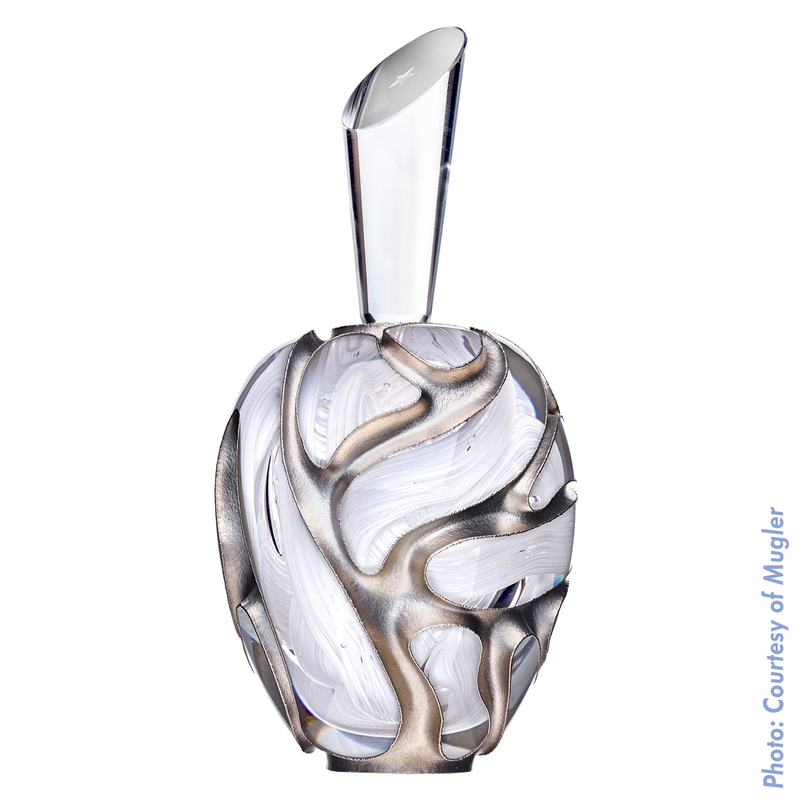 They also brought a sterling silver funnel for you to transfer the perfume to this refillable bottle. They came in a really nice leather box stamped with Bulgari on it that can be doubled or used as an accessory box.